It is with great sadness I anounce the sad passing of our Officer and friend Gaivs Ivllivs Agricola.It came as a shock to hear he had passed away. I had known Gaivs for 27 years and he above all else was the one person who got me into Roman history. He with his vast knowledge of ancient history me with my metal skills. He encourged me to learn which set me of to makeing my first Gladivs. I first met him at the coal board and from there led to us taking up Reanacting. 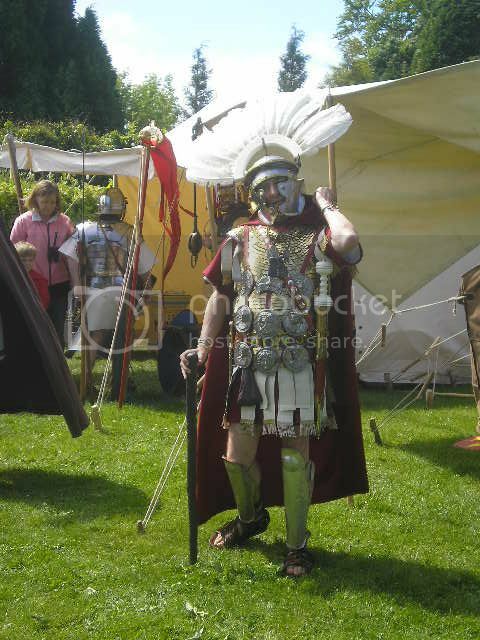 He had loved Roman history from a early age and it wasnt until his 40s he put on the uniform, From then on where ever we go people ask wheres Gaivs, he had that type of presence. The group will sadly miss him. "As you cross the Elysivm Field my friend you will meet family and friends once more, and stand next to Caesar. So until we meet again and march once more be at peace for ever your greatful friend and Miles Brennivs. A nice tribute Tony, my condolences to his family and friends. Here are some photos I took when I lived in York, probably twenty years ago. "Is all that we see or seem but a dream within a dream" Edgar Allan Poe. "Every brush-stroke is torn from my body" The Rebel, Tony Hancock. "..I sweated in that damn dirty armor....TWENTY YEARS! ', Charlton Heston, The Warlord. I was also so very shocked to learn that my good friend Billy had passed on and he will be so sadly missed by so many. Many thanks Graham for your condolence and photos. there are few people in my life that are truly Iconic Billy and John Anstee theses two people have instiled me the most, they dedication to the world of experimental archeology have shaped me. Many thanks. Brian nice to see you again Giavs would have appreciated you being at his Funeral, good to talk to you again other than the phone, you will always be welcome at our displays. I knew him at Ludi Veleiensis (Iruña, Spain). Condolences to his family and friends. Sit tibi terra levis. Current time: 04-20-2019, 10:50 PM Powered By MyBB, © 2002-2019 MyBB Group.